The last time I interviewed Brandon Sanderson, he’d just released his third novel, The Well of Ascension and was putting his teeth to the grindstone and trying to establish himself in the Fantasy genre. Boy how things can change in just a few years. Now, he’s the guy holding the reins of Robert Jordan’s Wheel of Time series and carries all the weight of its finale on his shoulders. Luckily, if there’s anything Sanderson’s known for, it’s being able to write some of the best conclusions in the genre. 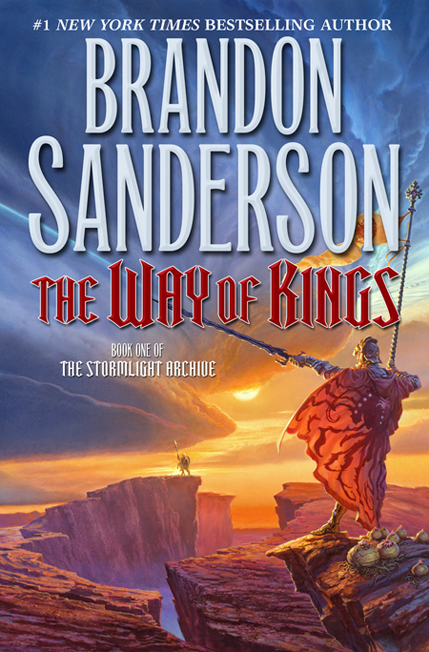 What’s more amazing is that he’s not only managed to publish two Wheel of Time novels in two years, he’s also published a 1,000 page novel, The Way of Kings, from a new Fantasy series called The Stormlight Archive. The dude’s prolific and the quality never seems to dip. So, enjoy the interview, and thank him for staying up into the deep parts of the night, just hours before one of the most important novels of his career is launched, to complete an interview with silly old me. 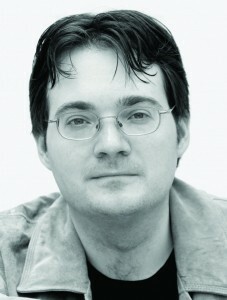 Few gentlemen still exist in the world, but Brandon Sanderson’s certainly among their number. Brandon, welcome back to A Dribble of Ink. It’s been a while and *a lot* has changed since we last chatted back in 2007! Ha! Yeah, you could say that. It’s been a busy few years. It’s been one year since The Gathering Storm was first published. 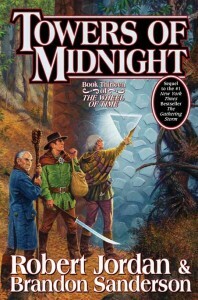 How much did feedback from fans and critics affect you while writing Towers of Midnight? The relationship between artist and critic/fan is a curious one in this regard. On one hand, I do think feedback is important, particularly on a project like this (where, as I’ve stated, I feel that the project rightly belongs more to the fans than it does to me.) However, a writer must keep their artistic integrity. Allowing yourself to get pulled in too many directions by fan requests can be a disaster for an artist. Basically, you can’t try to please everyone–if you do, you risk ending up with either a completely schizophrenic project, or one that is so bland it lacks emotional depth or power. That’s a mouthful. Basically, what it means is keeping an open mind for ideas that will make the story a better version of what I wany it to be. On TGS, there were two basic areas I felt fans were right about that I could and should fix. The first had to do with some voice issues in Mat’s narrative. (I’ve spoken of that elsewhere.) The second had to do with continuity errors. I am not nearly as good at dealing with those as Robert Jordan was–I know he made mistakes, but I felt I made more. So for this project, I enlisted the help of some very detail-oriented members of the fan community as beta readers in an attempt to keep myself honest and catch mistakes before they went to press. There are things in this book, like in any book I’ve written, that I fully suspect will draw complaints. 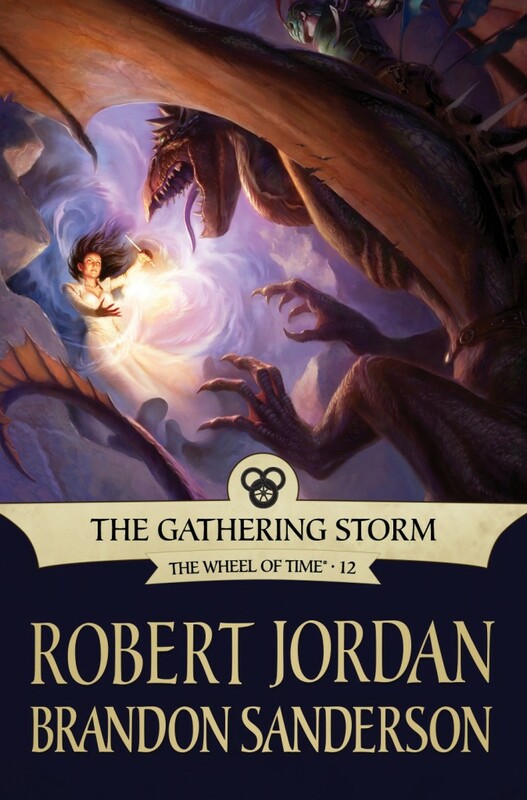 In some cases, I know exactly what they are–and I did them that way because I felt it was best for the story and the best way to remain true to Robert Jordan’s vision. It’s the ones that I DON’T expect, but which ring true, that I want to find and correct. 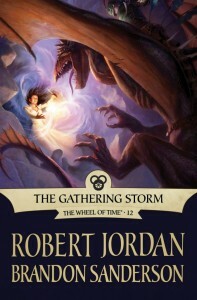 What did writing The Gathering Storm teach you that made Towers of Midnight a better book? Two things: First, how to juggle a large number of plotlines and viewpoints. (Something I’d failed at in drafts of unpublished books during my earlier years as a writer.) I couldn’t afford not to do this well. 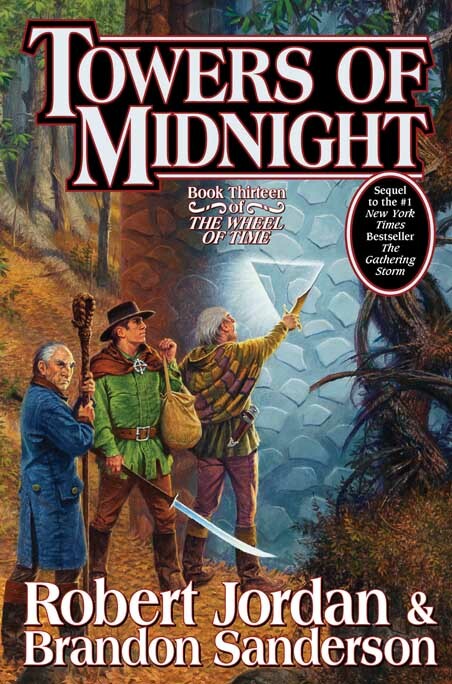 Towers of Midnight is reputedly a very Mat Cauthon-heavy book. One of the criticisms leveled at The Gathering Storm was that you had trouble capturing Mat’s very distinct voice and personality. Do you feel like you have a better handle on Mat now that you’re a volume into your tenure with The Wheel of Time? You’re known for creating very intricate and logical magic systems in your novels, what was it like jumping into a magic system already established and created by another author? Well, considering that the Wheel of Time’s magic system was a foundational inspiration for the way I do magic systems, I’d say this wasn’t actually as big a problem as one might assume. Yes, Mr. Jordan does some things with magic very differently than I do. But his use of an underlying logic, mixed with excellent visual imagery and a science to the magic, is part of what I’ve long loved about the series. The biggest trouble for me has been remembering which specific combinations of which specific powers create which specific weaves. One of the perks associated with finishing The Wheel of Time is that you’ve read all of Robert Jordan’s notes. Now that you know all the secrets (including stuff that won’t even appear in the novels), how has your appreciation for the series changed? This is an experience others will start having in the coming years, and perhaps they’ll agree with me that it DOES change the series. First off, you gain a better appreciation for Robert Jordan’s ability to foreshadow. Second, the slow parts don’t seem so slow any longer, particularly as you see books seven through fourteen as being one large novel. Is there anything that Jordan wrote into the earlier novels that causes you to grind your teeth? If you could change one small thing from earlier in the series, what would it be? So, ahh, Joar Addam Nesossin is just chillin’ out in a shady spot by a cool stream, relaxing and, of course, reading Towers of Midnight to find out about Moiraine when a shadow falls over him. Who, uhh… might’ve cast that shadow that interrupted poor Joar’s reading session? You’re actually the first one to ask me about Asmo with regards to his real name. Nice. You’ve spoken in the past about your commitment to your religion. Oftentimes, there’s a misconception that religion and Fantasy don’t get along very well. How have you religious beliefs informed you as a writer? Has there ever been an issue balancing the two aspects of your life? I think fantasy and religion can get along fine–and do in the works of many writers. Just like fantasy and atheism can get along fine, and fantasy and anything in between. It depends on the writer, their goals, and their relationship to their work. I’ve said before that my religion is part of what has shaped who I am, and that in turn shapes my works. But that can mean very different things to different writers. Tolkien and Lewis were both deeply religious, and yet their spiritual sides manifest themselves very differently in their works. I don’t really balance my LDS faith and my writing, since neither are things that I DO. They are both things that I AM. And because of that, they are inexorably connected to my books, my self, and pretty much everything about me. That’s not to say that I see books as a means of preaching my faith, or even my beliefs. I feel that kind of writing leads to an insincere story, regardless of how sincere the preaching (whether it be religious, political, or academic) itself is. One thing a great story can do is examine issues from many sides, as seen from the eyes of many different characters who believe different things. Those sides must all be strong, or the story fails for me. 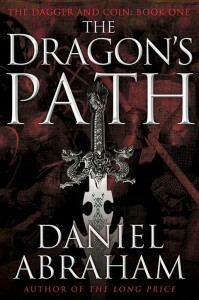 Recently, you detailed all the different series and novels you have in the pipeline, including White Sand, The Liar of Partinel, The King’s Necromancer, at least nine more volumes in The Stormlight Archive and Nightblood, a sequel to Warbreaker, just to name a few. How do you keep them all straight in your head? And, when one project is finished, how do you choose which one to work on next? Choosing the next project is a balance between the promises I’ve made to readers and the best way to channel my creativity. I stay fresh by jumping between projects; it’s the way I’ve (for better or worse) trained myself. And so I always have a lot of ideas, and there are a lot of things I’ve worked on. One thing to keep in mind with me is that, because of the way I work, some of these things just don’t end up turning out. They aren’t good enough for publication, at least in their current state, so I shelve them. Imagine it like the B-sides of an album. The band may do a lot of playing, jamming, and recording–and then they pick the very best to present to their listeners. In the case of the books mentioned above, Liar turned out poorly enough on the first go-around that it’s shelved indefinitely. I’m not sure how I stand on the King’s Necromancer yet, and White Sand is unlikely to be in good shape for many years. Scribbler (one you didn’t mention) turned out great, and you’ll probably see it in the near future. As for sequels to books that are half-promised, we’ll see. Something like Nightblood (where there is a potential sequel, but the story of the book was wrapped up and told strongly, I feel) is less urgent than something like the rest of the Stormlight Archive (which is a single story, told across many books.) In the case of Stormlight, I’ve made a stronger promise to readers, one I feel the need to fulfill. Of course, the question you asked is how I keep them all straight. Lots of notes mixed with quirks of the way my brain works. You’re known for writing big, juicy Fantasy trilogies and, now, 10-volume series. 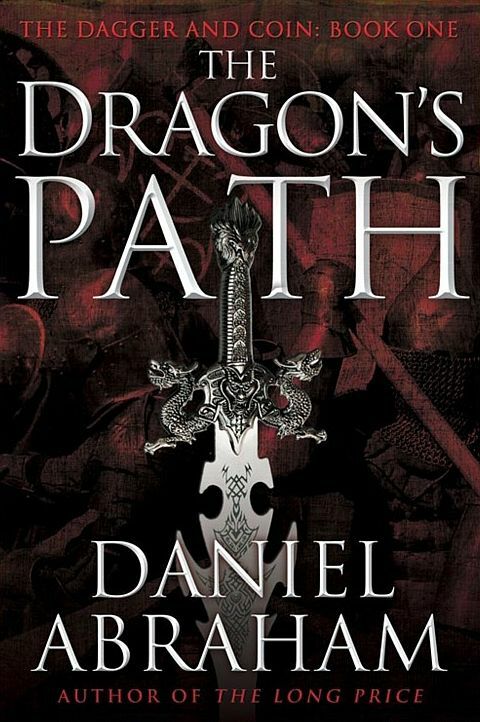 Even Elantris, originally released as a standalone, has a couple of planned sequels. What is it about these intricate, multi-volume stories that appeals to you so much as a writer? I wish I could answer that directly. It’s just how I work. Those are the types of stories I love to read, so those are the types of stories I love to write. I believe it’s something that the novel form can do that is more difficult in other forms of entertainment. Even television, with its more long-form storytelling methods, can’t generally approach the kind of large-scale epicness that a long series can. On the flipside, what can you tell us about the Mistborn short story you’re working on? Can we expect any more short fiction in the future? Anyway, that’s all backstory. The story I’m working on right now, during my “Write whatever you want” break before starting AMOL isn’t one of the three trilogies. It’s a shorter work set between the Vin/Elend trilogy and the mid-20th century tech level trilogy. It takes place a few centuries after The Hero of Ages, where most technology (though not all) is somewhere close to 1910 on Earth. The advent of automobiles and widespread electricity. Plus allomancers. Whether you’ll see more like this from me in the future really depends on how well the experience goes, and whether readers like it. It will be short–for me. Which is looking like around 60k words, at this point–so a short novel, rather than a short story. Your life has changed drastically over the last five years. Do you ever look back fondly on those days of being an aspiring writer, fighting to be heard above the white noise of the industry but with complete creative freedom? Yes, I do remember them with fondness. I don’t remember fondly the struggles to pay bills, the long hours working a graveyard shift, or the sometimes dizzying level of uncertainty in my life. But I do sometimes wish I had the freedom I had then. I still pretty much get to write what I want when I want, but there are limits to that. And I have a LOT more interruptions now. The realities of having a career, not a hobby. I always like to ask the folk who drop by to name a few of the authors they feel are criminally under-read. Who do you wish more readers would discover and why should we be reading them? Thanks, Brandon. It was an absolute pleasure! Best of luck with Towers of Midnight and your endless supply of other future projects! FOR THOSE HUNTING THE HORN OF VALERE: Don’t think so hard. Look at the bigger picture. Interestingly, Tad Williams suggested years back that he wanted to do something similar with his Osten Ard world. He said he had a sequel in mind set in an Industrial Revolution-like period during the world’s history, hundreds of years after the medieval period featured in Memory, Sorrow, and Thorn. I’d still love to see that happen. Yeah…that one was to be called “A Chronicle in Stone” and it was supposed to be a collection of shorter stories rather than a full-length novel framed by a narrative that connected the stories. However, the book is not going to be written any time soon (if ever). Tad is writing a new mainstream/thriller/urban fantasy trilogy right now and a ya series with his wife, so the next 3 to 5 years he`ll be busy enough. In interviews he tends to say that he will do the book eventually. Very nice interview Aidan, particularly the questions about Brandon’s writing & his future projects and Kudos to Brandon for his answers and professionalism. Great interview! I really admire Brandon’s humility and forthcomingness.